When you enter you will then be required to register, on doing so, you will receive an email, please click the link to confirm. You will then be able to complete your entry. Return at any point using your login credentials to manage your account and modify your entry until to closing date. To enter the awards please complete an entry form and submit any relevant supporting materials. Read the description and criteria of the category you wish to enter carefully – entries that do not comply might be marked down or rejected. You may enter as many categories as you wish, although make sure your entries are relevant to each category's criteria. Entries are charged at £195 + VAT per entry. Entries that have not been paid for by 24 June 2019 when judging commences will be disqualified. With the introduction of the apprenticeship levy, this category recognises those employers that are excelling in recruiting and training apprentices to the benefit of the organisation. Entries should demonstrate how their organisation’s apprenticeship scheme/s are attracting talent that may have otherwise gone untapped and that the training is fulfilling a clear business need. It should show the commitment the employer gives to their apprentices, and the benefits the apprenticeship programme bring. You should be able to show that apprentices are fully integrated into the business with clear development goals; you should demonstrate that managers and apprentices are appreciating the apprenticeship; and that achievements are at the highest levels. This category recognises the achievements of HR consultants and consultancies. Entries are welcome from consultancies that can demonstrate a positive and measurable impact on projects they have collaborated on with their clients. Generalist or specialist consulting work will be considered by the judges ranging from broad HR projects to specific work around, for example diversity, employee relations or L&D. Up to three projects can be cited in an entry which should demonstrate measurable impact of a consultancy’s collaboration. Judges are expecting testimonials from clients and explanation of how the consultancy excels. This award is about demonstrating the value and business benefits of a diverse and inclusive workforce and the measures taken to achieve it. Judges will expect to see initiatives that have delivered positive results in terms of equality, staff engagement, recruitment and retention. For example, a positive action campaign that encouraged applications from under-represented groups, a flexible working scheme targeting new mums, or a strategy to improve inequalities. Voluntary sector organisations should enter the public sector D&I category. This award is about demonstrating the value and business benefits of a diverse and inclusive workforce and the measures taken to achieve it. Judges will expect to see initiatives that have delivered positive results in terms of equality, staff engagement, recruitment and retention. For example, a positive action campaign that encouraged applications from under-represented groups, a flexible working scheme targeting new mums, or a strategy to improve inequalities. This category is also open to voluntary sector organisations. Entrants into this category will demonstrate how they use employee benefits in a strategic way, aligned to their organisational objectives. They will show how their benefits mix relates to specific market and competitive pressures, how they maximise staff appreciation of the package and how they measure its impact. Judges will be looking for entries demonstrating innovation, ROI, flexibility, clear communications and evidence that reward is making a positive difference to organisation performance. This award aims to attract entries from high-performing organisations that are unlocking discretionary effort from staff through effective employee engagement. Judges will be looking for evidence of respected leadership, exceptional levels of communication and a strong sense of community that centres on shared values. Include measurement data, (e.g. Employee opinion survey results, staff turnover rates, absence levels) to prove the value of your organisation’s high levels of staff motivation. Successful employers of choice work hard at creating an identity for themselves as accessible, flexible organisations. This award recognises employers that have made a major effort in this area. The judges will look for a clear explanation of how the employer brand was created and is being maintained. Evidence should be provided of the benefits it has brought to the organisation, such as its impact on recruitment, retention and employee engagement levels. This award recognises the important work that employment law teams can do for their HR clients. Judges will be looking for examples of performance and innovative thinking and details of how client service sets the firm apart from others. Entries could include testimonials from HR clients about the law firm’s work and the firm’s ability to deliver value for money. Judges will also consider proactive advice provided for clients as well as its ability to handle live disputes. Entries open to Law firms with a specialist employment team. This award recognises the effective use of technology by HR teams to bring about business benefits. Entries should explain what changes have been implemented, why they were necessary and how technology facilitated it. This could be the introduction or improvement of a HR software system. Or it could involve innovative use of technology to boost your employer brand, run a recruitment campaign, deliver a learning and development programme or improve communications within the organisation. This award specifically recognises people management programmes that have made a positive and measurable impact in organisations that deliver public services. Judges will be looking for examples where HR has transformed the business to deliver stronger performance; has transformed itself; the innovative use of HR to tackle a specific business challenge; developed the workforce; increased productivity or improved the delivery of public services. Entries should give demonstrable and measurable examples of business impact. This award looks for learning and development interventions that have significantly benefited the organisation, particularly if the professionals involved have developed new approaches. The judges will want to see evidence of improved performance and gains in employee skills and capabilities. Entrants should show how training has boosted motivation and helped focus staff on key organisational objectives. The judges will look for well-designed, innovative and well-delivered learning and development programmes. This award is for organisations who can demonstrate how specific employee health, fitness or wellbeing initiatives are making a positive impact on performance. Judges will be looking for evidence of the organisation’s commitment to staff welfare and the benefits enjoyed by both the employees and the organisation. This may be in terms of a positive impact on staff satisfaction, motivation or productivity. This coveted award is for an individual HR or OD director who can demonstrate outstanding leadership. Entries should explain the contribution the HR director has made both to their own team and to the organisation as a whole. Candidates must demonstrate that they have developed an effective HR team and present evidence of their contribution to the business. Past winners have submitted testimonials from across the organisation and their customers to back up their entries. 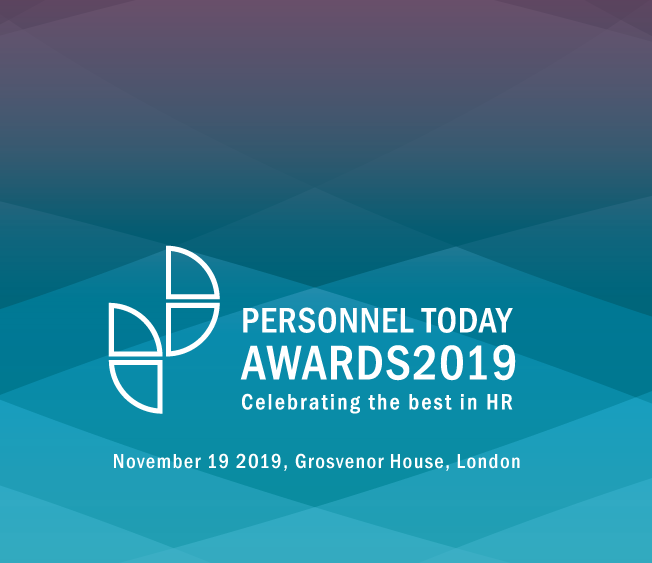 This award recognises a HR professional or team that has added value to their organisation through an innovative, clever or determined solution. The winning intervention should show HR at its most creative and flexible. Entries should provide evidence of speed of reaction, innovative thinking, clear communication, an understanding of the business drivers, and measurement of the benefits. Entrants could include testimonials from people who have benefited from the intervention. This award is aimed at HR teams that can demonstrate genuine strategic status within their organisations. Entries should explain the business strategy and the contribution of the team to meeting objectives. Judges will look at the team’s own strategy; how this was devised and implemented; the involvement of senior staff; relationships with other functions; and what results have been achieved. Entries should explain how the team identified priorities and how HR has measured the benefits. This award recognises employers who optimise their graduate recruitment programmes to attract and nurture the very best talent in the most innovative and effective way. Successful entrants will be able to demonstrate: how their graduate attraction and selection process recruits the most suitable employees; how their graduates learn and develop through focused training and placements; and how these programmes have benefited the organisation. Include testimonials from graduates and line managers and provide metrics on the success of your graduate scheme. This award recognises effective approaches to the targeting, selection and recruitment of talent at all levels from school leavers and graduate to senior positions. The judges will look for successful examples of innovative ways of attracting talent to the organisation. Relevant to this category are new methods of talent attraction and acquisition, including those around social media; and the measuring and assessing capability and performance of candidates. This award recognises Learning and Development teams that can demonstrate that their L&D interventions have benefitted their organisation. Entries should explain the business strategy and the contribution of the team to meeting objectives. Judges will look at the team’s own strategy, how this was devised and implemented, the involvement of senior staff, relationships with other functions and what results have been achieved. They will also assess the levels of innovation and will want to see evidence of improved performance. Entries should explain how the team identified priorities and how L&D has measured the benefits. Entries open to any L&D team (HR teams have separate category). Entrants will need to demonstrate that they have undertaken a successful change programme resulting in clear improvements to the business. Judges will look for examples of HR’s role in managing and embedding change, which might, for example, focus on creating or modifying major structures and processes in the organisation. Entries will need to explain actions taken to ensure the programme was successful, how you worked with others to help overcome any resistance and the benefits to the business. This new category for 2019 recognises employers that have sustainability at the heart of what they do. Sustainability will be incorporated into business decision making as the impact of employer’s activity is assessed in relation to the local community, wider society and economy. While the effect that an employer has on the environment, whether locally or globally, will be important to our judges, this award recognises more than a considerate approach to green issues. Our panel will reward employers that have a nurtured a workplace culture that: meets clients’ needs while actively minimising the impact on stakeholders; and encourages careful and long-term decision making from all their staff. Entries are welcome from employers of all sizes and suppliers working with them. This award recognises organisations that have adopted a proactive approach to talent management and succession planning. Entries from employers will demonstrate creativity in order to attract and retain the best. The judges will look for imaginative organisational talent reviews by the HR team working in conjunction with others in the business. Entries should explain what action has been taken to identify and develop key employees and how this has benefited the organisation.